The Reg Lamy Cultural Centre houses the Hockey Arena, Curling Club and Golf Club-House. The facility is open year round and is located at 195-5th Street. The first construction of the local arena started in 1950, and it officially opened in 1952. In 1997, further construction started with the new Reg Lamy Cultural Centre and was completed in 1999. The new centre was able to accommodate more spectators by creating a larger entrance wing, as well as a basement level for change rooms and equipment storage. The arena opens October 1, 2o17. 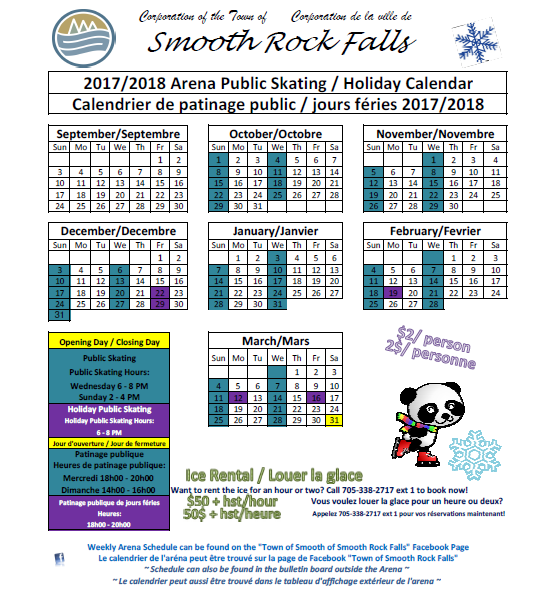 Click here to see the 2017-2018 public skating schedule.